I'm a little late here, but the responses are making me LOL! All I can say is that my Dad has a new T-shirt. He's happy that it's 100% cotton. Hahaha. I just hope no one in my little town knows what Viki is or he's bound to have some awkward conversations. I'm still waiting when the gift arrives? 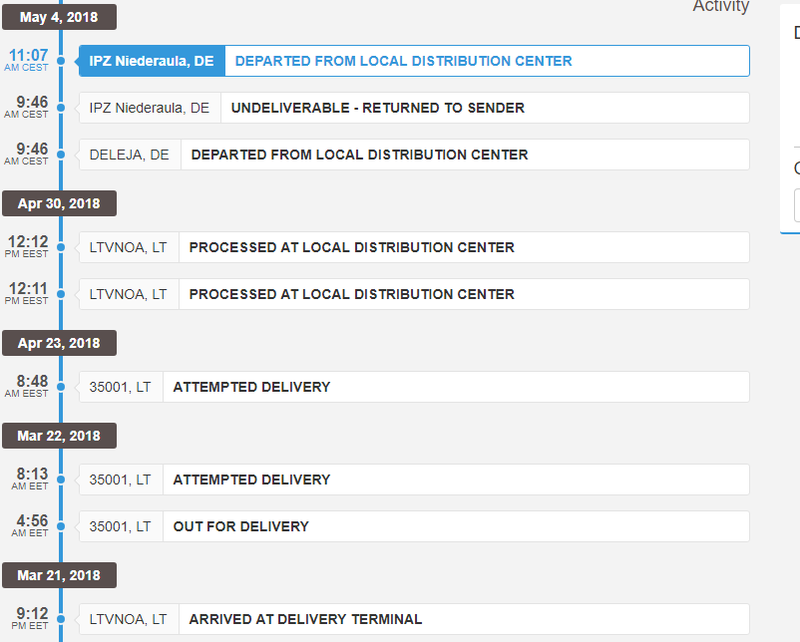 And tracking also stayed on March 20 and has not been updated yet and I do not know why . Is this the case for everyone? oO How is that possible? The UPS guy has to take responsibility for the loss. My tracking was "stuck" too. Turns out the tracking number changed at some point. Try calling your local post office in case it's already there. Each order has one. They were attached to the mail to be informed of their arrival date . i onl ygot a mail that the present sooooooon will be coming (in january?). but i n e v e r got an email in which a tracking code was included. thats why is asked camille to help me. Since December I asked several ppl. in the complex, but they all say they never got a package in my name. I already know is lost (stolen) lol, but I will continue fighting for the refund. Hopefully, it will get there before you move. Good Luck! with it, I want to wear it to get everyone interested!!!! @camiille What to do? My delivery was attempted but it wasn't delivered and now it is being returned to sender! 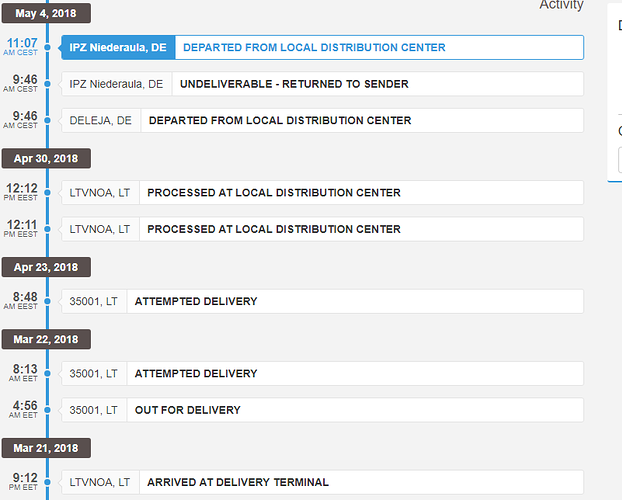 I see they tried to deliver it twice... didn't they leave a note to pick it up somewhere when you are not home in your country? Hopefully you and Viki can think of a solution.